Kim M. asks: How do they decide when Easter is? The holiday of Easter is celebrated by over two billion Christians globally. Marking the day that Jesus rose from the dead, it’s always commemorated on a Sunday in the spring. Despite this, the exact date has consistently changed throughout the many centuries the holiday has been recognized. Additionally, various sects of Christianity (most prominently the Greek Orthodox Church) often celebrate Easter on a totally different date than their peers. Why is that? Why is there no set date for Easter and how do they ultimately decide the date of Easter each year? The rather complex answer has a lot to do with the differences in the solar and lunar calendars. 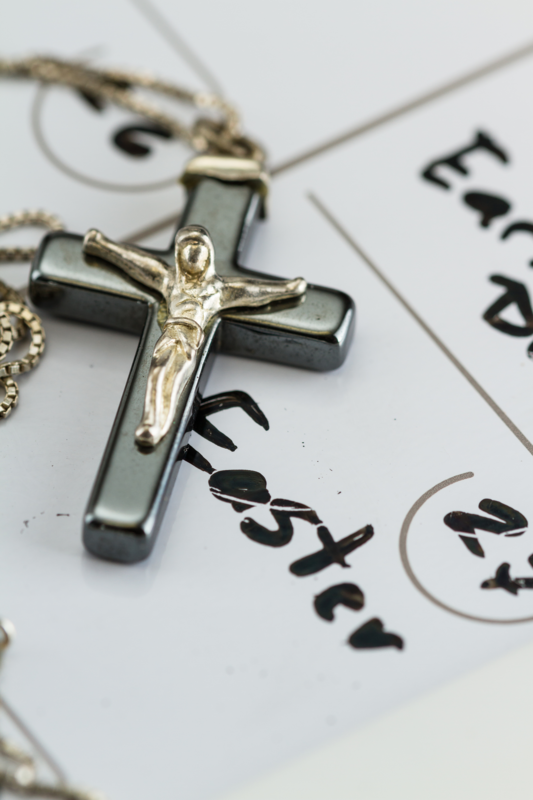 Easter’s roots could date back to before Jesus’s birth, perhaps even having pagan origins. Some scholars believe that the English word “Easter” comes from the Anglo-Saxon goddess Eostre, who represented spring, plantings, new beginnings and fertility. Much like how Christmas matches up with the winter solstice, there’s thought that Easter was intentionally lined up with the spring equinox to encourage those more comfortable with pagan traditions to join Christianity. While many scholars and Christian historians deny this connection, there’s compelling evidence that Christianity adopted other religion’s traditions in order to make their religion more accepted. Influenced by paganism, Greco-Roman religions, Judaism, Islam and even Buddhism, Christianity (like all other religions) did not exist in a vacuum and many of the elements that are practiced today were a product of the ancient world’s intermingling of cultures. For example, in some parts of the world lamb is traditionally eaten on Easter, with the roots of this tradition in Jewish Passover feasts. In fact, the Greek/Latin variant of the word “Easter” is “pascha,” which is loosely translated to “Passover” in English. The Jewish religion adheres to the lunar calendar, meaning it’s based on the moon phases. As explained by Judaism 101, the lunar calendar is based on three astronomical phenomena: the rotation of Earth on its axis, the moon’s revolution around the Earth and the Earth’s revolution around the sun to determine the day, month and year (respectively). But a calendar based on the moon is not conducive to an agricultural society, which needs an accurate way of knowing when to plant and harvest. So, about 4,800 years ago, civilizations started shifting over to a solar calendar with the Egyptians leading the way. Now, the lunar and the solar calendars don’t quite mesh. On average, the moon revolves around Earth in 29.5 days and the Earth around the sun every 12.4 lunar months. This means that a lunar year is about 11 days shorter than a solar year, which wreaks havoc on the calendar even over just a decade. For example, planting season in ancient Egypt was between November and March, but with the calendar shifting every year by 11 days, it caused the seasons to not appropriately line up and created very serious problems for farmers. Even when Jewish leaders added a 13th month (Nissan) to try to balance out the drift, it didn’t work (even if every three years, the month shifts back by 30 days) and added an extra 19 days onto the solar calendar. In 45 BCE, Roman Emperor Julius Caesar tried to restart the calendar. With the help of astronomer Sosigenes, the “Julian calendar” was instituted on January 1st, 45 BCE. With the belief that the solar year was 365 days and 6 hours long, an extra day was added to February every four years – what we now know as the leap year. This calendar soon spread across Europe and was accepted by Christianity. For the next 1200 years, this worked, but there was a glitch. The glitch was that the solar year wasn’t 365 days and 6 hours, but 365 days, 5 hours, 48 minutes and 46 seconds. While minor, this meant that the calendar will be about a day short of a solar year every 130 years. In 1586, this was seemingly rectified by the adaptation of the Gregorian calendar instituted by Pope Gregory XIII (once again, naming the calendar after himself). With help from the astronomer Christopher Clavius, the new calendar dropped the leap year on the century years that were not divisible by 400. This meant three leap years were to be eradicated every three centuries, leaving 1600 and 2000 as leap years, but 1700, 1800 and 1900 as not. This also had an effect on Easter, forcing the chart that the Council created to be revised slightly. Despite the enormous efforts put into trying to maintain a calendar and a formula for Easter, not everyone agreed. Several sects of Christianity stuck with the original Julian calendar despite it being abandoned in the 16th century by majority of the world. In fact, European Protestants in Germany and England didn’t adopt the Gregorian calendar until the 18th century thinking it was a plot to silence them and control Christianity. Additionally, in 1923, there was a movement to set the date of Easter to align with the astronomical full moon in Jerusalem, the location of Jesus when he arose from the dead. To further this point, the Greek Orthodox Church continue to follow one of the decrees made by Constantine’s First Council that Easter must fall after Jewish Passover and be in “biblical sequence.” This is due to the fact that Jesus’s last supper was, in fact, a Passover seder and he rose from the dead several days later. Many people believe that figuring out Easter’s date shouldn’t be this confusing, including the Pope. In 2014, he and the Ecumenical Patriarch Bartholomew (the spiritual leader of some 300 million Orthodox Christians) were in talks to try to make everyone’s Easter all one date. This has yet to happen, but if it does, we may never again have to consult a four hundred year chart to determine when a holiday that two billion people around the world celebrates will actually take place. Correct me if I an wrong, but there isn’t a winter equinox, but rather a winter solstice. No, sir! What we now call “Easter” (in English-speaking countries) is a commemoration of the Resurrection of Jesus — and only that. The only “roots” of Easter that are pre-Christian are in Judaism, which is not “pagan.” Over the last generation or so, fueled by some misguided people at the “History Channel” and related networks, there has been a weird effort to make a mockery of the respectable religions of our time, trying to convince viewers that they are nonsense, based in mythology and legends, etc.. “Today I Found Out” ought not to participate in this demeaning and disrespectful activity, being carried out by atheists and agnostics that are trying to win converts to their “irreligion” (because “misery loves company”). This statement makes it seem as though modern “scholars” have recently unearthed such a theory. No! It was the great medieval scholar, St. Bede the Venerable (an English monk who died in 735 A.D.), who expressed his belief that his nation’s word, “Easter,” was derived from “Eostre.” However, that fact is totally irrelevant (with regard to any influence of paganism on Christianity), since the Resurrection of Jesus had already been celebrated for centuries — as noted in the article — under the Greek/Latin name, “Pascha,” before the word, “Easter,” was ever used. No, sir! This is more of the silly rubbish from modern, anti-Christian TV channels — including some people who choose to be “neo-pagans” now. Every objective person knows that the unfixed nature of the date of Easter is related, not to an equinox, but to the unfixed nature of the date of the Jewish Passover, which occurred just before Jesus’s death and resurrection. No, sir! Christianity in its first millennium (i.e., the Catholic Church) did not “adopt other religion’s [sic] traditions.” She condemned those traditions/customs that were evil or contrary to Jesus’s doctrines. She allowed (or even encouraged) those secular customs that were harmless to continue. Sometimes she replaced potentially dangerous festivals with admirable Christian ones; this is sometimes referred to as “baptizing” pre-Christian festive periods. The author of this article ought not to have been surprised by learning of Christians eating lamb and using symbolic depictions of lambs at Easter. Jesus allowed Himself to be the “Lamb of God,” the sacrificial Lamb (at the time of Passover), killed to atone for the sins of mankind — as prefigured by the Passover lambs killed by the Jews in Egypt and afterwards. Yikes! How could the word, “him,” (in place of “he”) have escaped two layers of proofreading (one by the author and one by his editor)? More important, however, is the erroneous reference to Patriarch Bartholomew as “the spiritual leader of some 300 million Orthodox Christians.” There is no “Orthodox pope” — no single man who can establish religious disciplines worldwide, no single man who can declare a doctrine as dogmatic or requiring assent. If Patriarch Bartholomew teaches something or expresses a command, the Orthodox people outside of “Constantinople” are not required to believe the first nor to obey the second — because they have their own, autonomous bishops/patriarchs. That is why the author of this essay should not have used definite article (“the”) before the words, “spiritual leader.” The author should have referred to Bartholomew as something like, “the Archbishop of Constantinople and one of the spiritual pastors within Eastern Orthodoxy.” He is referred to as the “first among equals,” but that is just a formality, a term of respect (unlike the role and authority of the pope within Catholicism). Judaism is more of a fad than a religion is it not. Easter does have pagan origins (even the name is that of a female goddess). True religion is to obey every word that comes out of the mouth of the Creator. One of those words is not to learn as the pagans do and do likewise to Him. Another is to keep His feasts days in Lev 23 (easter and xmas are not His days). The Gregorian calendar was established by Pope Gregory XIII, not XXII as stated in this piece. There have only been 16 popes who took the name Gregory, as well as two Antipopes. While Christmas is clearly placed on the calendar to merge with the winter solstice celebrations including Saturnalia (e.g. shepherds watch their flocks by night in the spring when ewes give birth), the association between Easter and Passover goes back to Paul. That said, the Catholics and Orthodox have it easy compared to some Orthodox Jews who, in addition to maintaining two separate calendars different than the accepted Jewish calendar, insist that Passover is not just the first full moon after the vernal equinox but that it also requires the first crop of barley be ripe or you wait till the next full moon. As I recall, there have also been disputes over which field counts, since two Orthodox sects monitor two different fields. There’s one piece of information left out of this article—one I’ve been looking for since I was young (a LONG time ago). With regard to Easter’s date, the date of the full moon must be for a particular place on Earth, since there are always two different dates in effect around the world, except at exactly midnight on the International Date Line. Otherwise it’s one date immediately to the east of that line and one day later to the west of that line. The date of the full moon in Rome seems most likely to me, but I doubt Protestants would have put up with that! It’s the date of the moon over Israel, not Rome. Jerusalem to be exact. I’m sorry but every year, extra 6 hours not days are being added to the month of February, so every 4 years we have 366 days in our calendar.